Hello Asia’s KCON Kcountdown Introductions: WANNA ONE – Hello Asia! The hottest Kpop group right now is 11 member Wanna One from the hit TV battle show “Produce 101 Season 2”. 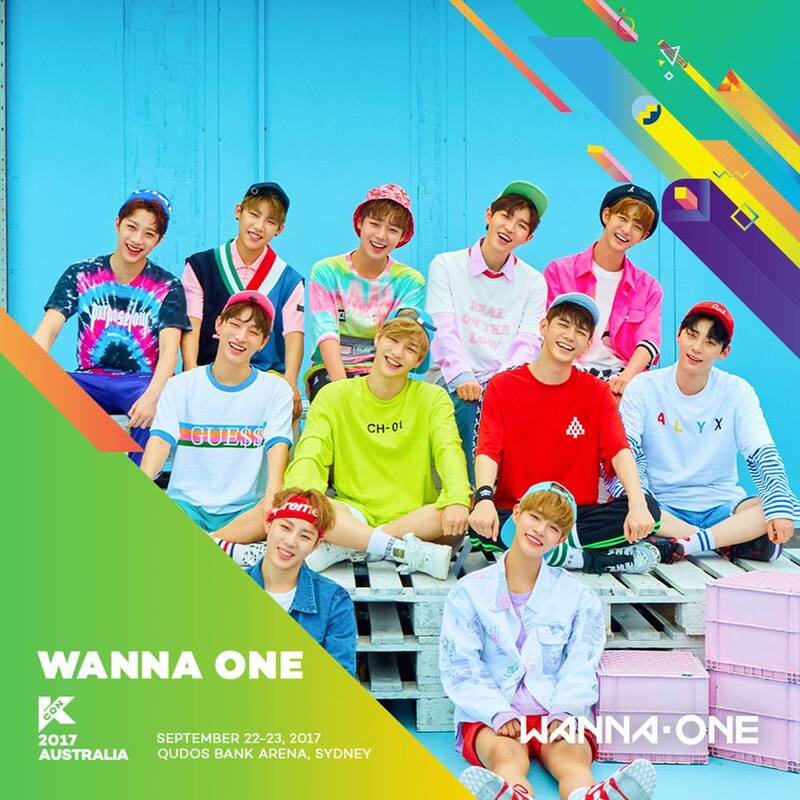 Wanna One is heading down under for KCON Australia and here’s all you need to know about this super rookie group. Kang Daniel (강다니엘) was born on December 10, 1996 (age 20) in Busan, South Korea. Park Ji-hoon (박지훈) was born on May 29, 1999 (age 18) in Masan, South Korea. Lee Dae-hwi (이대휘) was born on January 29, 2001 (age 16) in Seoul, South Korea. Kim Jae-hwan (김재환) was born on May 27, 1996 (age 21), in Seoul, South Korea. Ong Seong-wu (옹성우) was born on August 25, 1995 (age 22) in Incheon, South Korea. Park Woo-jin (박우진) was born on November 2, 1999 (age 17) in Busan, South Korea. Lai Kuan-lin (賴冠霖, 라이관린) was born on September 23, 2001 (age 15) in New Taipei City, Taiwan. Yoon Ji-sung (윤지성) was born on March 8, 1991 (age 26) in Wonju, Gangwon-do, South Korea. He is the group’s leader, as selected by fellow group members. Hwang Min-hyun (황민현) was born on August 9, 1995 (age 22) in Busan, South Korea. Bae Jin-young (배진영) was born on May 10, 2000 (age 17) in Seoul, South Korea. Ha Sung-woon (하성운) was born on March 22, 1994 (age 23) in Goyang, Gyeonggi-do, South Korea. Daniel ranked 1st with a total of 1,578,837 votes, being declared as the overall winner of Produce 101 Season 2 and given the center position of Wanna One.